Lack of fresh water is a general concern and will increasingly become a threat to societies in the future. An important technology to tackle this problem is desalination: making fresh drinking water from saline seawater. Most of current methods however are neither cost efficient nor environmentally friendly. Therefore, there is an urgent need to develop a technology that would fulfil both criteria. 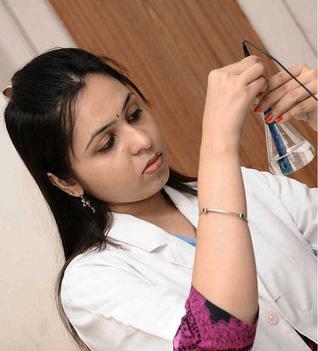 A young woman scientist here has come out with a cost-effective desalination process, which has bagged her prestigious international prize. Potable water is becoming scarce by the day. Even as a lot of focus is on increasing groundwater level, a research fellow at VIT University has turned her attention to seawater. Devlina Das, a CSIR Senior Research Fellow at the university, has come up with a project – SALINO – to convert seawater into drinking water using a unique five-step method powered by solar energy. Her work has bagged the second prize in a world competition – 2015 RELX Group Environmental Challenge. The RELX Group Environmental Challenge is awarded to projects that best demonstrate how they can provide sustainable access to safe water where it is presently at risk and/or access to improved sanitation. Projects must have clear practical applicability, address identified need, and advance related issues such as health, education, or human rights. Talking about creating SALINO, Devlina said the product would work in five unit operations. Each step would be an innovation merged with a technology. We would use solar panels as well. The product would be meant for a large scale installation only. The working might require maintenance by trained personnel. SALINO would target communities and supply drinking water (at a time at least 50 homes) via a pipeline system, she said. Devlina said with SALINO, whose costing and budgeting were being worked out, she would like to focus on how this project would help the community. Reverse Osmosis technology which is in vogue uses around 30 to 40 per cent more water. SALINO is a low cost and effective alternative. She opted for this new technology since the Reverse Osmosis technology which is in vogue now wasted around 30 to 40 percent of water. This award means like achieving a milestone and I would address it as the "stepping stone" to my rising career'', she said. Speaking about this achievement, VIT Founder Dr G Viswanathan said, ''given the need for water preservation and utilization, we are proud to say that our students are understanding their urgency and working towards coming up with a solution''. Devlina Das was one of the brightest students of VIT University and we are very proud of her achievement, he added. Devlina Das’s project converts seawater into drinking water using a unique five-step method powered by solar energy. The challenge, according to her, encourages projects on water sanitation. “Hence, I presented my project on water purification. The focus has always been on groundwater remediation. We have not exploited surplus water that is available as the earth constitutes 70 per cent of ocean. This requires special attention. I have worked on this project for purification of seawater,” said Ms. Das, who has completed B.Tech in biotechnology at the university. She bagged the $25,000-prize for the project, while the first prize of $50,000 went to Philippines-based social enterprise — Alternative Indigenous Development Foundation — that came up with reliable drinking water to upland rural areas using a unique hydraulic ram pump, a release said. To learn more, please visit the Environmental Challenge website. See details of previous winning projects here. Sign up for updates on the 2016 Environmental Challenge competition here. RELX Group plc is a world‐leading provider of information solutions for professional customers across industries. The RELX Group Environmental Challenge was launched in 2011 to contribute to the Water for Life Decade, an initiative launched in 2005 by the UN General Assembly to halve the number of people without sustainable access to safe drinking water and basic sanitation by 2015. According to the World Health Organisation and UNICEF Joint Monitoring Programme, over 700m people are without safe drinking water, while more than 2.5bn people do not have adequate sanitation facilities. Poor access to safe water and sanitation contributes to health crises in many developing countries, and increasingly leads to violent conflict. This is the fifth year of the RELX Group Environmental Challenge, and will be marked by a special prize of $20,000 for collaboration projects involving past winners.